DIGITAL INDIA – A Flagship Programme of the Government of India with a vision to transform India into a digitally empowered society as well as a knowledge economy. Yes, I am a proud Indian, and I support Digital India too, but I am absolutely not supporting Facebook's Internet.org Project. Yesterday, Facebook's CEO Mark Zuckerberg and Indian Prime Minister Narendra Modi met at Facebook’s Headquarter. The Historic meeting between PM Modi and Zuckerberg went great. Hours after this event, Facebook launched a tool that allows you to change your Facebook profile picture to a Tricolor shade of Indian Flag, just like few months back 30 Millions Facebook users had changed their Profile picture with Rainbow color to support "Gay Marriages." The Latest Tool with URL http://fb.com/supportdigitalindia is to support the "Digital India" campaign by the PM Modi Government. Ever since Zuckerberg changed his Facebook profile picture to an Indian Tricolor shade to show his support for the Digital India campaign, we Indians started following the same suit. Our Facebook timelines have started flooding with tricolor profile pictures. 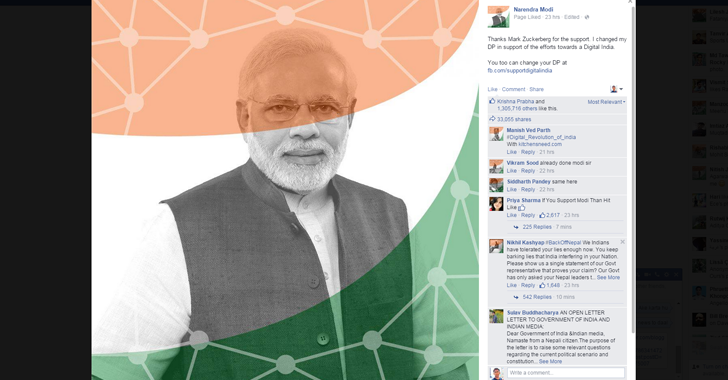 Repeatedly, Facebook says, "Show Your Support for Digital India." FACEBOOK'S RETURN GIFT FOR SUPPORTING INDIA? When a Politician does something it might be good for the Country, but When a Businessman does something it is definitely good for his Business. What Facebook will get in return for promoting India's Project? Digital India plans to connect rural areas with high-speed internet networks, but at what cost? We all know: India is one of the biggest markets for Facebook, not just in terms of size, but also in terms of Revenue. Therefore, Facebook's support for 'Digital India' could indirectly mean to market its Internet.org project. To show my support to Digital India, I am not going to change my Facebook Profile picture. You may think this tricolor filtered profile picture is a gesture to support Digital India. However, it is not. 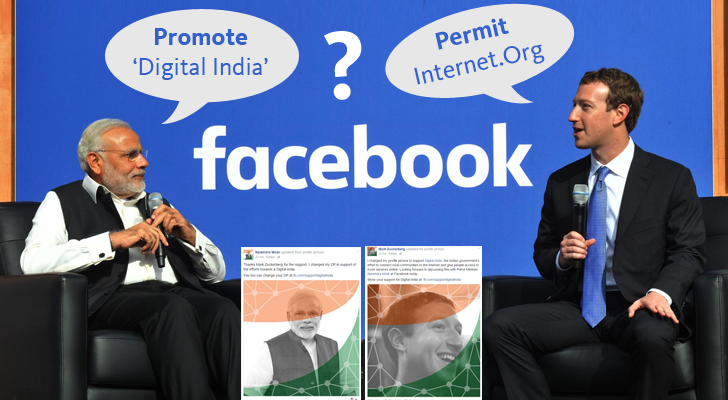 There seems to be a hidden agenda behind Zuckerberg's support for Digital India, and that is Internet.org – Facebook's much-criticized anti-net neutrality project – which has now been renamed to "Free Basics." Yes, in the name of Modi's Digital India, Zuckerberg is silently promoting his Internet.org Campaign, which will potentially kill the Internet freedom in the Country. 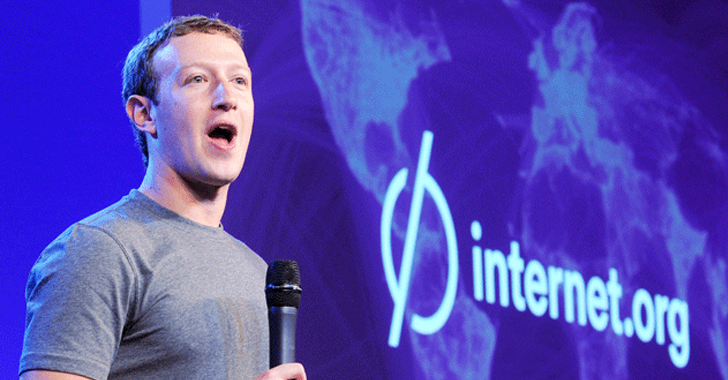 Facebook, in collaboration with six companies, including Samsung, Media Tek, Software Nokia, Opera, Ericsson, and Qualcomm, launched Internet.org that aims at providing Free Internet services to developing nations. This move by Facebook is not exactly what it looks like. It actually is a blow to our Internet freedom and Net Neutrality, the one we are fighting for long. The Facebook's free Internet service will be available to Reliance users only. Internet.org gives 'free access' only to Facebook and its 50 partner websites, which limits Internet users to stick to those services only. This Facebook Project is not giving Free Internet to people, instead giving free access to manipulated-Internet that Facebook wants users to see. Isn't this violation of Net Neutrality? When Internet provider will decide what we are going to see on the Internet. Death of Start-ups. With this move, we closed doors for another FlipKart or SnapDeal. Death of Small businesses. Local businesses will not grow, as the site who will pay more will be part of Facebook's free Internet project. Your Internet Remote in Facebook’s Hand. With internet.org, you are indirectly giving Facebook more power to control what you can access on the Internet. POOR PEOPLE, "1st PROVIDE FREE DEVICES, THEN FREE INTERNET." Okay, let's ignore all these points and believe that Facebook really wants to provide Free Internet access to those poor people who cannot afford data packages provided by Internet Service Providers (ISPs). But think about it, if a person is unable to afford data packages, how he/she will possibly be able to afford a device that is required to access even Facebook's Free Internet? 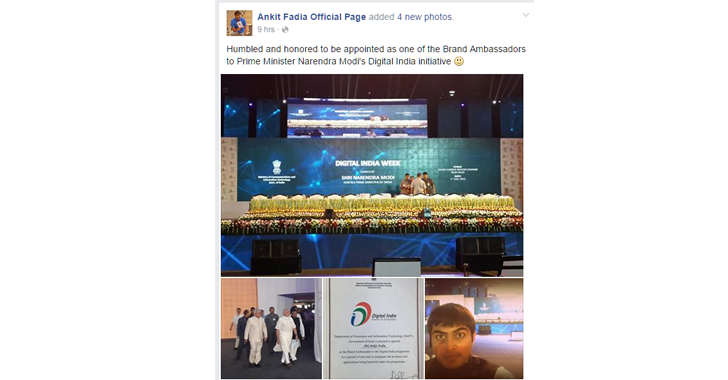 Indian Self-proclaimed Hacker, Ankit Fadia, has reportedly been appointed as one of the brand ambassadors for Prime Minister Narendra Modi's Digital India Initiative. He made this announcement on his official Facebook Page. However, we have no official confirmation or announcement from the Government as of yet. I have nothing to say about Ankit Fadia in this article, but can read more about him from Forbes. According to me, Digital India Needs Influential and Inspirational "Technologists" as Brand Ambassadors, not any hackers or marketing gurus. 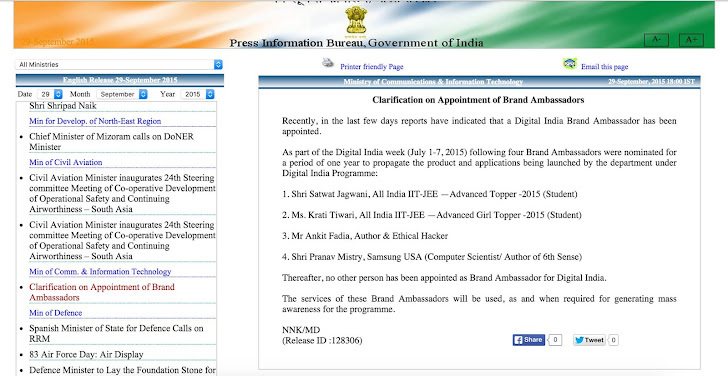 Update: Indian Govt confirms that ‪‎Ankit Fadia‬ has been nominated as Digital India's Brand Ambassador along with other three. So, think twice before changing your Facebook profile picture to tricolor shade, you might indirectly support Facebook's Internet.org project. This article is just an opinion, and it is not to hurt your patriotism or support towards PM Modi, as I'm too a supporter of Digital India, but I will not blindly change my profile picture. So, Choose Wisely. Facebook's spokesperson has told news websites that their developer mistakenly used the "InternetOrg" word in the source code that hint Indian users and triggers this discussion. "There is absolutely no connection between updating your profile picture for digital India and Internet.org," a Facebook Spokesman said late on Monday night. "An engineer mistakenly used the words 'Internet.org profile picture' as a shorthand name he chose for part of the code. But this product in no way connects to or registers support for Internet.org. We are changing the code today to eliminate any confusion."